Nowadays digital cameras with ability to capture high pixel counts photos are quite common in market that allows users to snap higher quality photos for storing or printing. However, sometimes it may not practical to have such high pixel counts photos especially when you want to upload online or share to friends through emails. That is how this tiny but yet powerful software utility comes into place. Named as PhotoRazor, it is a high quality digital photo resizer that enables users to shrink down the picture size while able to maintain its original quality for practical usage. With PhotoRazor, users can convert all bulky size original photos into relatively small copies so that they can be attached and sent through emails or even be embedded into web sites without worrying about oversize warning. For the start, just choose any photos that you would like to resize followed by the Size & Quality selection. There is a way to restrict the maximum Width/Height pixels so that the resized photos stay within the limit of pixel counts as well as the picture quality depending on own preference. Good thing is, the software utility can also be used to resize photos in bulk to conserve time needed for other more important activities. All these resized photos can be well kept in new folders without disturbing original photos files. 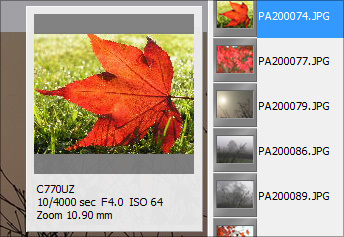 PhotoRazor is compatible with Windows OS (Operating Systems) such as Windows 98, 2000, XP and even Vista and if you think this is useful, do get a free download here for immediate use.